I graduated from the University of Massachusetts in 2001 with a B.S. in Civil Engineering (I know…go figure!). After working as an engineer I discovered that, although very profitable, at the end of the day it left me feeling unfulfilled. A fitness enthusiast since college, I have always believed in the benefits of a healthy lifestyle. So, in 2002, I left my engineering job and took one where I could help people learn how to live a more healthy life. I became an ACE Certified Personal Trainer. It was the best career decision of my life! I have been a trainer for the past 15 years now, all across the country from Montana to Maryland to Massachusetts and now in Florida. I have developed programs for a variety of people during this time, ranging from seniors to moms to kids. In addition, I have taught a variety of group exercise classes including Lite Sculpt and Aerobics, Senior Fitness, Sports and Conditioning, Core, Bootcamp, Water Aerobics, Youth Fitness and Teen Strength Training. I have helped people with injuries, osteoporosis, obesity, high blood pressure and high cholesterol, change their lifestyles. Whether your objective is to firm up, lose inches, strengthen and tone muscle, or just improve overall health, I will help you achieve your unique fitness goal. Rest assured if you are looking to change your life AND are willing to work hard, I promise that I can help you! I worked at a gym in Amherst, MA that had a fantastic clientele. Unfortunately, the owners couldn't get along and the gym was harshly and abruptly closed early one evening, never to reopen. Surprised, shocked and disappointed I quickly tried to fill the newly created void in my life, as well as the life of my clients. But, I didn't know where to start. One evening, I began to reflect on what has led to the great results my clients have experienced over the past 8 years. I saw that the common theme was their positive response to a training style and program truly unique to them. In essence, I had helped each of them find their “key” to achieving a more healthy and fit lifestyle. It wasn't about the gym, or even me, it was about THEM. Also, just days after the gym closed, I went on a trip to my favorite vacation spot, Key West, FL. One of the things I love most about that island is how it lives it’s famous tag line of “Come as you are” where everyone is welcome and no one is judged. 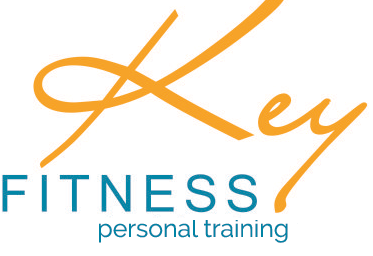 With these two elements as the cornerstones, I have named my new training business “Key Fitness”. It’s a place that you can expect to “come as you are” and have me help you to find YOUR “key” to unlocking a more healthy and fit lifestyle. It's been going strong for 5 years now and I look forward to many, many more!